As much as Lucasfilm and Disney may want it to go away, the story that keeps following Solo: A Star Wars Story around is the infamous directors change that took place last June when Phil Lord and Chris Miller--who had been shooting since January 2017--left the project with just weeks left to go in shooting. They were replaced shortly thereafter by Ron Howard. While those involved haven't shied away from talking about it, the amount of speculation and debate about what happened sometimes appears to overshadow the movie itself, which opens in theaters in just under two months. Fans are curious about who shot what, what changes were made, how the credits will look, and what was it like on set with Lord and Miller compared to Howard. An unidentified actor, who shot scenes with both Lord and Miller and Howard, spoke with Vulture recently and shared some details about what happened and why. Vulture writer Chris Lee describes the unnamed source of the story as "Although not one of the film’s marquee stars, this source was in a prime position to observe the directors’ contrasting on-set modi operandi." "Phil and Chris are good directors, but they weren’t prepared for Star Wars. After the 25th take, the actors are looking at each other like, ‘This is getting weird.’ [Lord and Miller] seemed a bit out of control. They definitely felt the pressure; with one of these movies, there are so many people on top of you all the time. The first assistant director was really experienced and had to step in to help them direct a lot of scenes." (A representative for Lord and Miller denies these allegations). "I think these guys are hilarious, but they come from a background of animation and sketch comedy and when you are making these movies you can do that and there’s plenty of room for improvisation, we do that all the time, but it has to be inside of a highly structured process or you can’t get the work done and you can’t move the armies of people to anticipate and have things read." From what's been said, it sounds as though Lord and Miller wanted to shoot as many takes a possible (upwards of 25 at times, it seems) and then construct a cohesive film when editing whereas Lucasfilm wanted Lord and Miller to have a stronger vision to begin with and simply set out to shoot that. Another factor that likely contributed to this is that screenwriter Lawrence Kasdan did have a strong vision for the film and wasn't happy with Lord and Miller shooting material that didn't align with that. "Lord and Miller (21 Jump Street, The Lego Movie) have a comedic sensibility and improvisational style while Kasdan favors a strict adherence to the written word — what is on the page is what must be shot." Vulture's source claimed that this led to a chaotic set, which all changed when Ron Howard was brought in. The source claims that, "When he came on, he took control and you could feel it. He got respect immediately. He’s really confident. A really easy guy to work with." The source also stated that Howard used the same exact script that Lord and Miller did (which is to say there were no rewrites to fix anything that might have been broken) and that Howard worked much "faster" than Lord and Miller. Again, this seems to suggest that Howard had a much stronger vision for what Solo should be and set out to shoot that, rather than trying to "find" the film when editing, as Lord and Miller (allegedly) did. It also helps that Howard's vision likely lined up better with Kasdan's than his predecessors did. The whole Director's shakeup on Solo is an unfortunate situation all around. No matter what happens with Howard's movie, good or bad, it will always be compared to the hypothetical movie that Lord and Miller would have made. It has also been something of a public relations nightmare for Lucasfilm, who more-or-less managed to dodge a bullet with Rogue One, where large portions of the film were reshot with a new director (one of the film's writers, Tony Gilroy, was, allegedly, behind the camera for the reshoots). So much was made about young directors being brought in to make "their" Star Wars movies, only to have to publicly remove Lord and Miller midway through production because their style apparently didn't line up with Lucasfilm's. With all of this in mind, Lucasfilm's move towards hiring more established people to handle future of Star Wars films and television makes a lot more sense. Instead of Lord and Miller, Gareth Edwards, Colin Trevorrow, and Josh Trank, we're seeing Jon Favreau, David Benioff, D.B. Weiss, Rian Johnson, and Dave Filoni at the helm, all of whom have experience at the helm of massive productions that were massively successful or creating successful Star Wars projects within Lucasfilm's current system (cue person leaving an angry comment that The Last Jedi wasn't successful and that Johnson should be fired). And that's without mentioning Howard and JJ Abrams who are the helm of the next two Star Wars films, both of whom are established names that replaced "up-and-comers". When we look back at the history of Star Wars under Disney, Solo may turn out to be something of a turning point. When the type of filmmakers and writers that Lucasfilm sought out to make the films shifted. While their are benefits to seeking out hot, young talent, it seems the key qualifier for Star Wars filmmakers now is a steady hand in addition to a strong creative vision. In other words, someone who knows how to navigate the world of blockbuster film making. 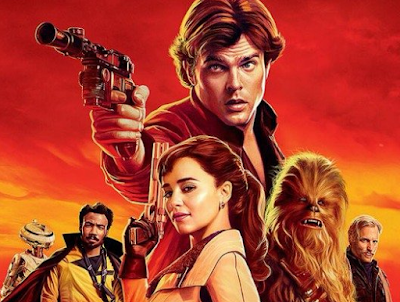 Whatever happens with Solo, the production troubles mean it may be the most important Star Wars film of the new era--outside of The Force Awakens, of course. The turning point for Star Wars is not the Solo movie, it was TLJ. That piece of trash film is the dividing point, where it became abundantly clear that Disney and KK have no idea what they are doing other than to use SJW agendas to completely destroy SW. The only amazing thing about all this is that Disney is managing to utterly ruin the greatest IP of all time. Good job at running SW into the ground! This is garbage, tabloid level stuff. This is shameful, low fan reporting. The movie will be fine. Do a little googling, this Vulture article has already come under fire for its timing and credibility. You need to strive to be a little better folks. "Fans are curious about who shot what..."